Hi! Woot woot we are getting close to kicking off the last weekend of summer. I hope you've got big plans. I am celebrating the weekend as well as my website updates. It's been a long process, but they are finished. If you want to head over and see what the new place is looking like that would be awesome. I would love to hear what you think. Did I miss anything? And since it's the end of summer, I'm doing a bit of clearing out of the shops. 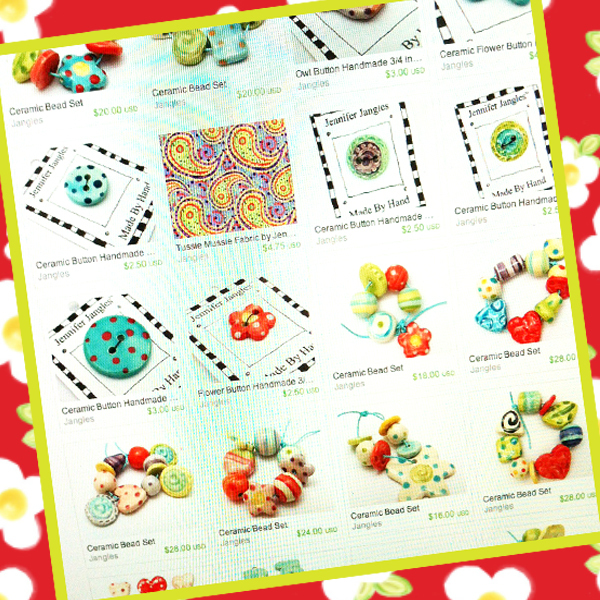 There's loads of beads, buttons, patterns and more. 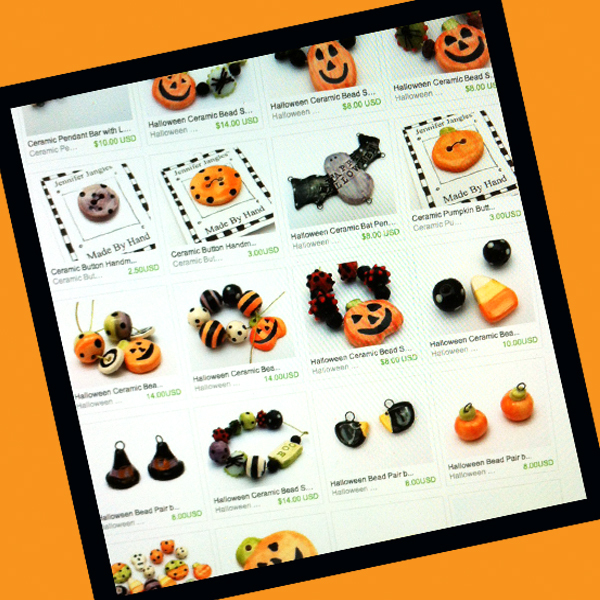 I need to make room for some new everyday, fall, and holiday items coming out of the studio soon. Starting today and running thru Monday use the coupon Summer20 to receive 20% off all of your orders in the new Jennifer Jangles web store and the Jangles Etsy Shop. I'm sorry I can only offer this discount on new retail orders only and not on custom items or wholesale. So get out and enjoy the long weekend!